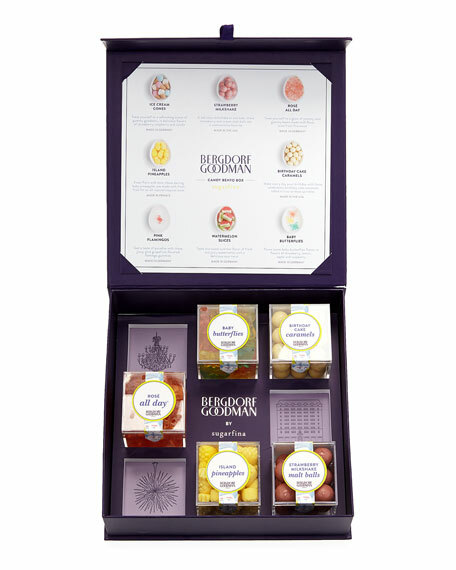 Sugarfina® "Bergdorf Goodman" ice cream Bento Box®. 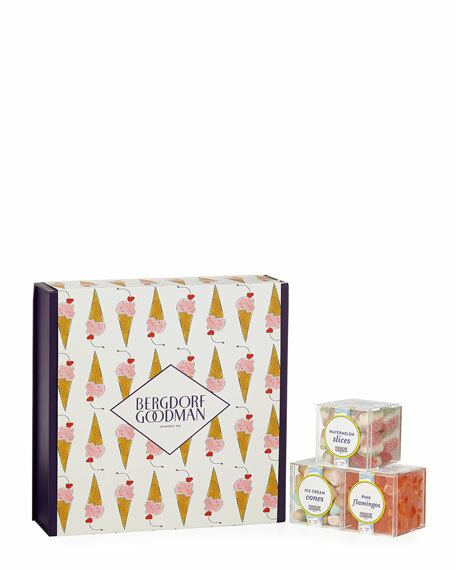 Eight Lucite® cubes filled with Ice Cream Cones, Strawberry Milkshake, Rosé All Day, Island Pineapples, Birthday Cake Caramels, Pink Flamingos, Watermelon Slices, and Baby Butterflies. Allergen Information: Contains wheat and dairy. May contain traces of milk, soy, peanuts and tree nuts. For in-store inquiries, use sku #2389487.